Will you marry me? 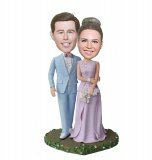 This customized bobbleheads depicts groom in black suit,with knee down and a large diamond on his hand, he is ready to proposing to his loved lady while the bride dress in a very exquisite wedding gown, showing her very happy smile. She is nodding that she is willing. 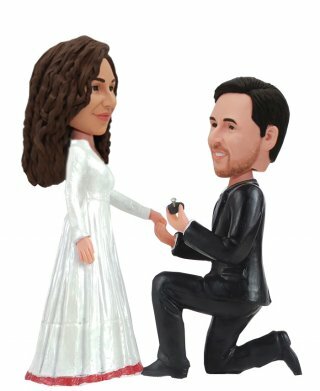 Remember the day of his proposal by making these custom bobbleheads. 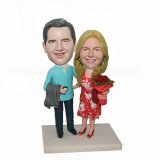 It's ideal gift idea for wedding, engagement or anniversary.Looking for ideas of wedding cake topper or anniversary gift? This custom proposing bobblehead is your best choice.